Mental health disorders are some of the most prevalent health issues in the world, and their associated stigmas result in serious consequences that worsen patient outcomes. 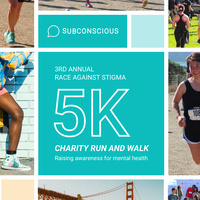 Please join us in a 5K run (or walk!) to help our cause and feel free to visit our website at subconscious.org.